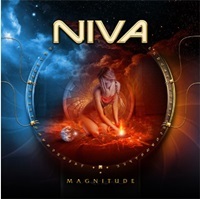 NIVA’s awaited new album called MAGNITUDE was released in Europe in August 2013, and in Japan in September with another title called GRAVITATION. S-ROCK had an e-mail interview with Tony Niva (vo) about the album which is full of amazing and beautiful melodies of AOR. S-ROCK: New and awaited album of NIVA called “MAGNITUDE” was released on the 30th of August from AOR HEAVEN in Europe, and you guys changed the title of the album for Japanese market to “GRAVITATION”, which was released on the 18th of September. You told it’s because of the huge earthquake in Tohoku, Japan, why else for “GRAVITATION” to choose? Tony: Actually, we had nothing to do with the name change in the first place. This was a wish from our Japanese label Marque Avalon and I can perfectly understand why they wanted a titelname change. My suggestion was to make a name change of the Japanese release to GRAVITATION which in my opinion was a suitable name considering the artwork with mother earth that are protecting our planet. MARQUEE/Avalon and I come to an agreement about the new album name which now is released under the name NIVA – GRAVITATION. S-ROCK: Would you let us know each track from the album, which song(s) do you like? “Never Too Late” is about that it’s never too late to have a brand new start even though you might think it’s over. The song is all about encourage yourself to make wonders with what you have inside yourself. It’s never too late for releasing your inner dreams or talent, if you just dare to do so. “Perfect Life” is a song about that we’re struggling for getting more and more materialistic things even though we have enough. We’re trying to reach for a perfect life style, instead of just being satisfied and happy with what you already have and what you’ve accomplished in your life. It’s hard to live up to the high standard our society are putting up being a perfect human being. Is there a perfect life? You decide, you live your life. “In A Misty Light” came up when my friend and neighbour past away. I wanted to dedicate this song to his widow who now lives alone. This song is about her meeting with him again somewhere in a misty light. This is my way of processing everything that has happened and also giving my respect to both of them. S-ROCK: What is the biggest difference between GOLD FROM THE FUTURE/FINAL WARNING and MAGNITUDE/GRAVITATION? Tony: It’s hard to say but GRAVITATION is production-wise much heavier but on the other hand there are more melodies, melodic feel and emotions involved in the composing-stage. This time we can hear the cooperation between major and minor in the songs just like the intergration between the heavier and the softer parts on the album. S-ROCK: The album jacket shows a girl having fire and she sees the earth – what will she do next? Tony: As I mentioned before, she reaches out her hand and protects us from everything bad in the world, by watching over us so that we’re not taking wrong decision and that we’re not exploits our planet. S-ROCK: You guys once changed the band name to OXYGEN and released “GOLD FROM THE FUTURE” in Europe from ESCAPE MUSIC as “FINAL WARNING”. Why did you changed both the band name and album title? It would get fans confused…..
Tony: Yes I know it’s a bit confusing. My goal was to release the GOLD FROM THE FUTURE for the European market for fans, friends and families. So there I was, trying to search for a label prepared to fullfill my wishes. The label showing the most interest was ESCAPE MUSIC. They suggested a name change for the European release and I agreed to that in order to have an album release for Europe. Now that we’re having our new label AOR HEAVEN, we changed back to our original name. Our fans do not have to be troubled anymore. We’re not planning of any changes for NIVA in the future. From now on I’m going to use the original name NIVA for Japan and for the rest of the world. The fact is also that the current release is our third NIVA release in Japan. S-ROCK: Any plan like gigs after the release of new album? Tony: We would of course like to play in front of a live audience. I would be more then happy to be able of meeting our fans in Japan. There are still a lot of issues to consider before making any decisions on having live gigs. S-ROCK: You’ve already started composing for next album? Tony: Yes, we have. But there is no one forcing us to write songs. This is an continuing process that is ongoing within us. Speaking for myself this is a process that never will come to an end. It’s just my way of living. 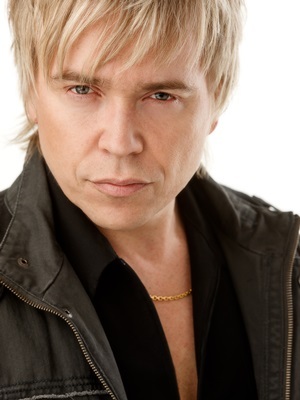 S-ROCK: Any change for music scene in Sweden since our last interview? Tony: I haven’t reflected on that at all since I’ve been quite busy lately, composing new material for hopefully our nextcoming album. I’ve also been occupied with my profession within the IT-sector and family activities. There’s a lot of things going on right now. S-ROCK: Would you give a message to your Japanese fans and S-ROCK site visitors, tack så mycket! Tony: We in NIVA would like to thank all our fans in Japan for their great support and kind words for the previous and the current album. Hopefully we can be able of meeting our fans during live performances in a near future.